My daughter, Sarah, is helping me make my blog look and work better for my upcoming ride. 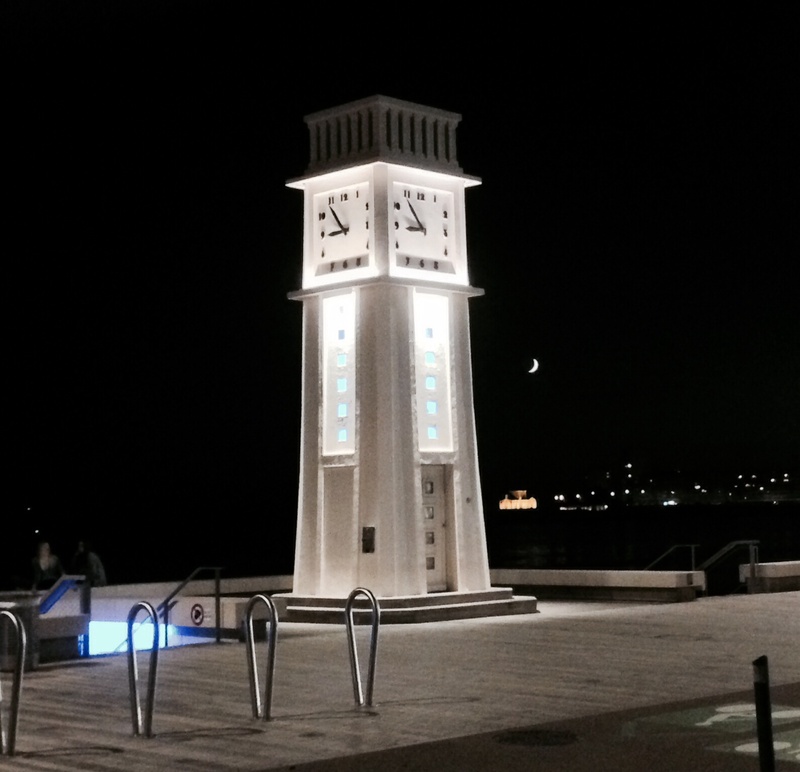 So….I’ve moved! You can now find my blog at dollybike.com. Stay tuned for more updates from my training in Florida and my “Atlantic Coast Ride for Justice”! Don and I are currently relaxing in the Star Alliance Lounge at Charles deGaulle Airport. Our check-in experience confirms the acquisition of a United Mileage Plus credit card – we had Premier Access, up to 4 bags checked free (not including the tandem), and use of the Lounge. We arrived more than 3 hours prior to our departure time, as recommended by Bill McCready of Santana Tandems. We paid for the bike, and now relaxing. 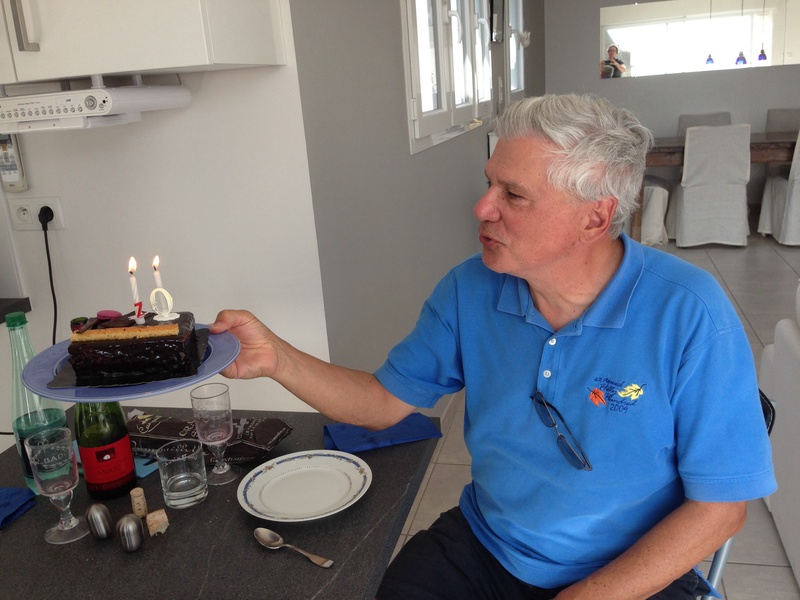 On Sunday, we packed up from les Sables d’Olonne, had one last drink at the beach, a delicious lunch, and a birthday cake to celebrate Don’s 70th birthday. Then we drove 5 hours back to Paris, the last hour with construction and lots of other cars returning from a beautiful weekend away. Yesterday Christine and I did some last-minute shopping for gifts while Don packed up the tandem. The four of us had a wonderful lunch at a nearby restaurant, a small way for us to say thank you to Christine and Patrice. 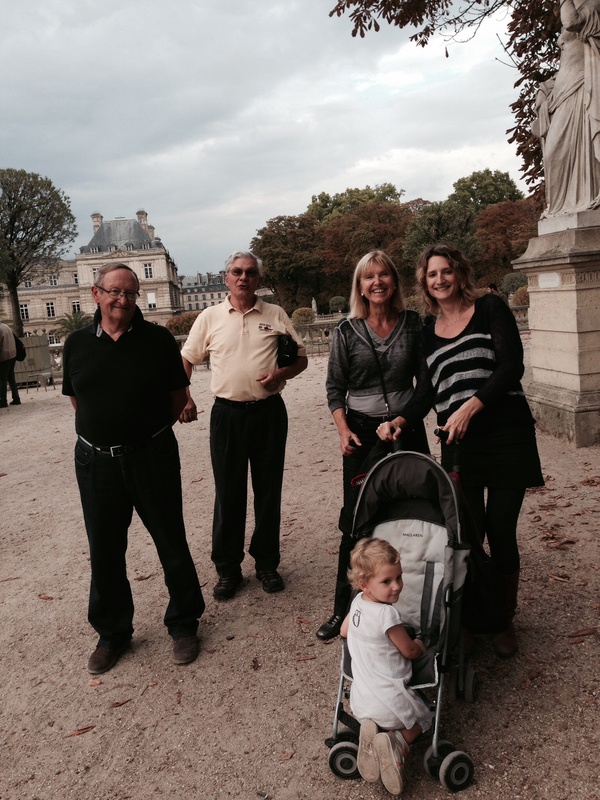 After naps, we went to meet up with Caroline and her daughter Margot and walked in the Jardin de Luxembourg. Caroline spent a month with us in Indianapolis back in the early 90s, and has taught and studied in the US. It has been an exceptional trip, better than We could have imagined. We decided to “brave it” on our own. All details worked out great; we enjoyed our weekends with the Tandem Club of France, and we cannot thank Christine and Patrice Muller enough for giving is access to the Paris apartment, allowing us to store the tandem case, and inviting us to spend 6 days at the beach!!! Maybe when I turn 70, we can plan another such adventure!! The weather has been nearly perfect; temperatures in the 70s during the day, likely low 50s overnight. The water is crisp with gentle rolling waves. Don played golf with borrowed clubs yesterday. 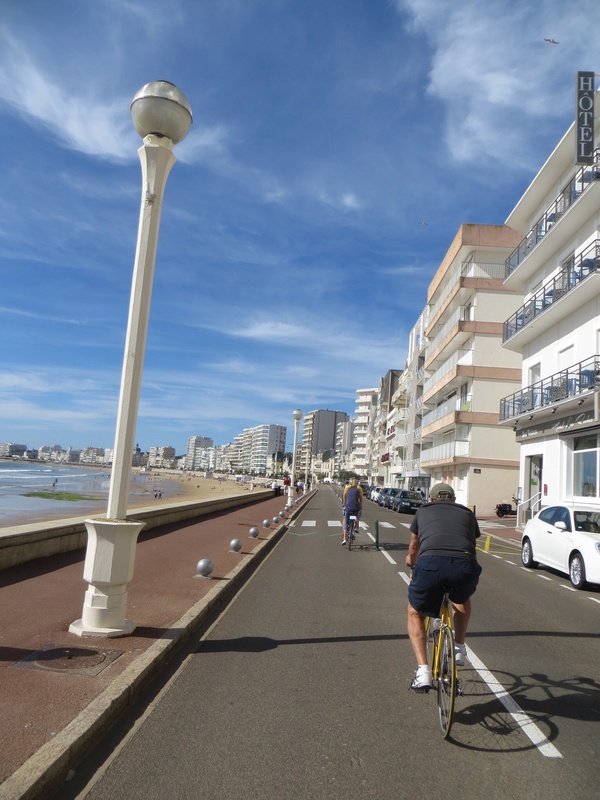 We rode bikes along the beach promenade on Wednesday (9 miles), a longer ride today along the harbor and into the Marais, a moorish tidal area used for kayaking and harvesting salt (25 miles). Lots of relaxation and rest for Don’s cold, which he generously shared with me. We have eaten pheasant, partridge and duck, killed by Patrice on his hunting excursions, and enjoyed fish and crustaceans on the same day they were caught. 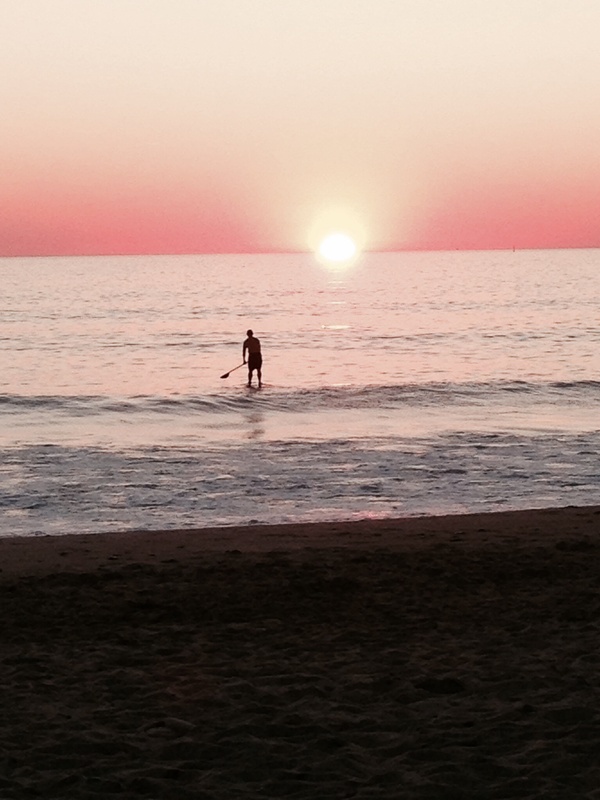 Tonight we biked to a small beach restaurant to enjoy the sunset – a wonderful way to end this vacation in a vacation. Tomorrow we drive back to Paris to take apart and pack the tandem and try to find space in our suitcases for the many souvenirs and gifts. We are glad we are flying United as Air France is still on strike.